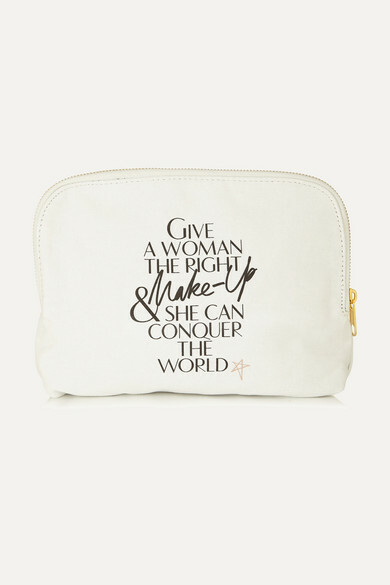 "Give a woman the right makeup and she can conquer the world," is the motto stamped on the back of Charlotte Tilbury's cosmetics case. 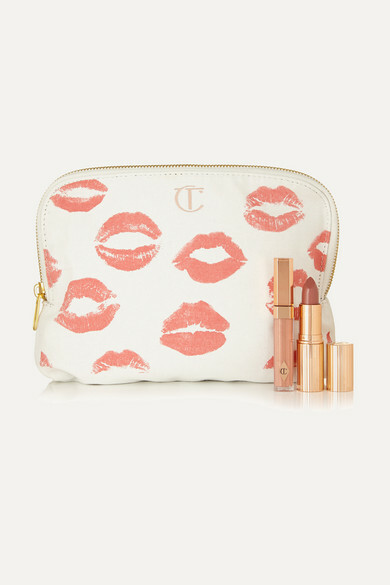 Essential for storing everything from lipstick to concealer, it is crafted from white cotton-canvas and printed with coral kisses from "some of the most iconic women in fashion." 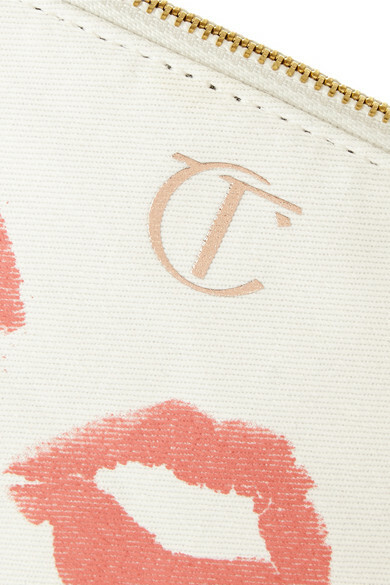 It is fully lined and machine washable, too.